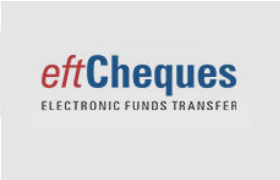 etfCheque – Imagine how easy it is if bank accepts digital copy to cheques for the processing. You can save your time as you can avoid visiting bank/drop box to submit physical copy of the cheque. Your imagination is turned into reality now you can use your mobile to issue and deposit of cheques. ICICI bank has recently launched etfCheques Mobile app for their customer. etfCheques is app launched by ICICI bank to provide complete solution for cheque based transactions. This app enables the customer to quickly process cheque in secure and convenient way. You can even issue cheque to the beneficiary using this app. Deposit Cheque – You can deposit scan image of physical cheque issued to you. Write etfCheque – You can issue etfCheque to mobile number of your choice. Cheque Query – You can quickly check the status of the cheque. How to use etfCheques Mobile App? Step-1 Download etfCheques from google play store. You need smartphone with internet facility to use this app. Step-2 Authenticate using your debit card number, debit card PIN and one time password (OTP) sent on your mobile number. If it is joint account you need to enter Net Banking ID also. Step-3 Choose 4 digit PIN number to access this application. Step-4 Login using your 4 digit PIN number and start using ICICI etfCheques mobile appp to perform cheque based transactions. This app is also available for IOS based device. How do I deposit cheque? Step-2 Select Deposit cheque option from the menu. Step -3 Capture front and back of cheque populate amount and other information and submit the cheque. Step -4 Deposit the physical copy of cheque at nearest ICICI bank within specified time limit. How to issue an etfCheques? Step -3 A Cheque book page will option asking for Name, Account number and amount. Step -4 Once done with filling mandatory details click on submit. Step-5 OTP will be issued to your mobile number. Submit OTP and etfCheque will be issued. Step-6 You will receive 4 –digit passcode which you need to share with beneficiary to receive the funds. You can issue etfCheques to non-ICICI bank customer also, however beneficiary need to visit ICICI bank website link to receive the funds. Do you think this facility will be useful to you? mobiles at cheaper cost ?. As an ICICI bank customer, in my personal opinion instead of this new mobile app if ICICI bank can provide this feature in the existing ICICI mobile app then would be fairly easy to deposit checks rather than managing another new application.